NET RESULT—The West Coast Lacrosse Club finishes the summer a perfect three-for-three in tournament play. 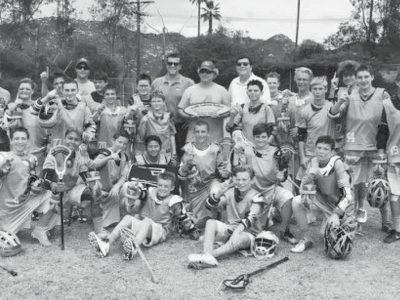 The boys were champions of the U-13 Elite division at the Lake Tahoe Summit Classic, the San Diego Pacific Lacrosse Festival and the Irvine Tribez Tournament. The team coach is Mark Reel, back row second from left.